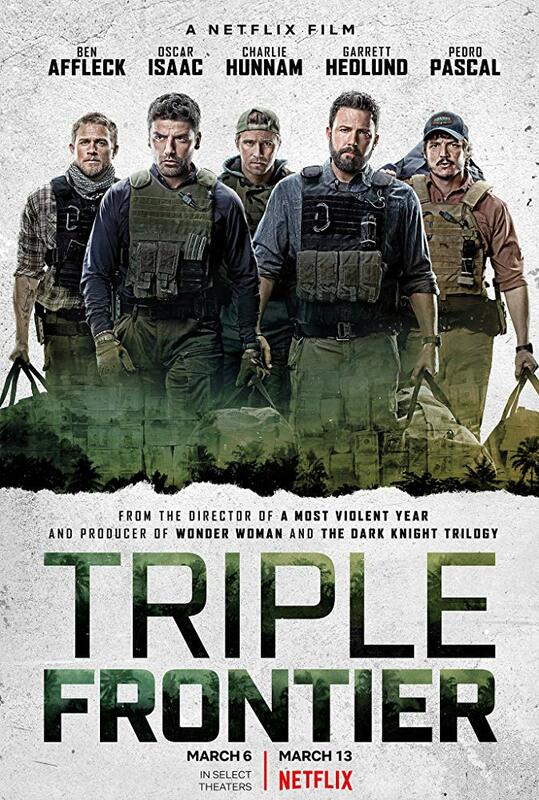 Triple Frontier has the right things going for it to succeed. A solid pedigree if you will. Talented director, a skilled cinematographer in Roman Vasyanov, an excellent ensemble cast led by some of Hollywood’s most in demand male stars. On paper you might even expect this one to be a slam dunk. And it is, for about 45 minutes or so, before the script drifts away from the human elements to make the film a battle of the wills against the forces of nature. That’s interesting in its own right, yet much like the title, Triple Frontier attempts to cover and roam too massive of a map. Netflix’s latest might look the part, but in reality it’s a mere imitation of more honest and introspective stories about the human condition. 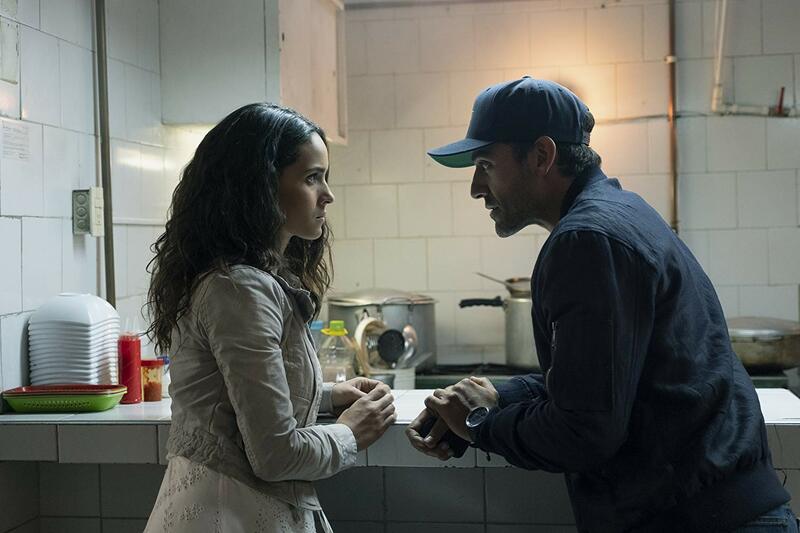 Santiago ‘Pope” Garcia (Oscar Isaac) spends his time in Columbia fighting the drug trade, gathering information from the informant Yovanna (Adria Arjona) as to the whereabouts of a kingpin named Lorea (Reynaldo Gallegos) in exchange for the safety of her brother. Back home, Pope assembles his past squadron under the pretense of strictly doing recon work. Tom ‘Redfly’ Davis (Ben Affleck) seems to relish inhabiting the role of team leader again, something more natural to him than failing as a lousy real estate agent. Pope recruits army motivational speaker William ‘Ironhead’ Miller (Charlie Hunnam) and his little brother Ben (Garret Hedlund), the group’s youngest member still battling his demons in the octagon as a cage fighter. Add in pilot Francisco ‘Catfish’ Morales (Pedro Pascal) and the old team is complete. They agree to do the recon, but little do they know that Pope intends to sucker them into a far more dangerous endeavor through sheer greed. He’s less saintly than his name implies. This one is smooth sailing for quite some time, using some gorgeous shots to smooth over the ugliness of the heist’s intention, introducing intriguing themes without really exploring them in the much weaker second half of the film. 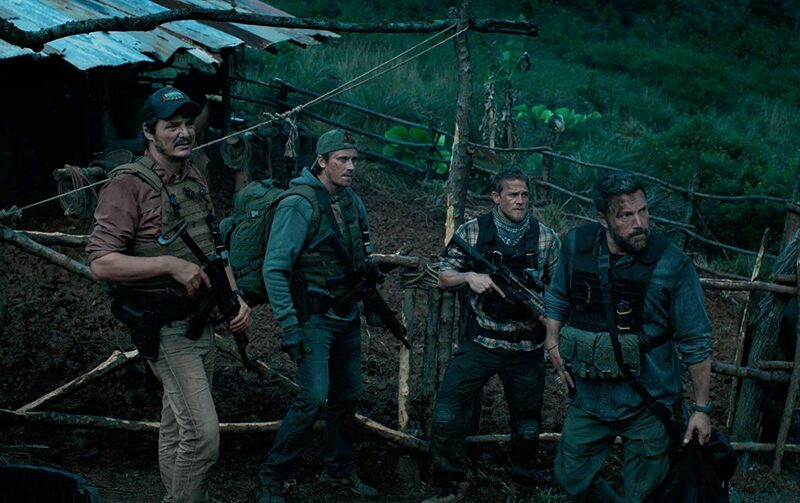 The fault with Triple Frontier can be found in the latter portion’s lazy writing, glossing over anything remotely personal for garish spectacle (i.e. a horrendously shot helicopter crash) and half-baked plans which lead to completely asinine conclusions. Writer and director J.C. Chandor has done his best work when he has focused on how minor faults and cracks in a concrete base can have a disastrous rippling effect. In doing so he creates natural tension, more unnerving sequences, and dives deeper into the characters at hand. 2014’s A Most Violent Year, one of the most underappreciated films of its respective year, did just this, and so does Triple Frontier to start. But then Chandor reverts back to his man vs. nature tendencies put on full display in 2013’s terribly overrated All Is Lost, writing scenes that never enrich or extrapolate the central characters, favoring action over depth. 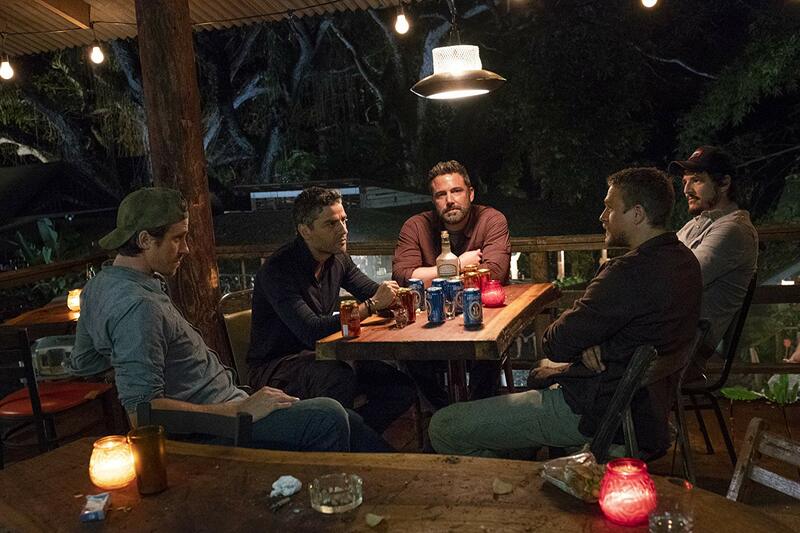 Triple Frontier is at its most interesting early on, directly dealing with the duality of these war-torn men. When we’re determining the unfair wage they’ve earned for the near death price that they’ve paid along the way, like past their prime greyhounds run to death and carelessly cast aside. When we’re trying to figure out who they really are instead of when we’re force-fed the superficiality of their special ops alter egos. While it’s well-made and sporadically harrowing, Triple Frontier is missing a deeper meaning and an overall purpose to what is has to say about capitalism, avarice, PTSD, and the exploitation of trained warriors. It can be entertaining, but that doesn’t make it any less deeply unsatisfying in the long run.